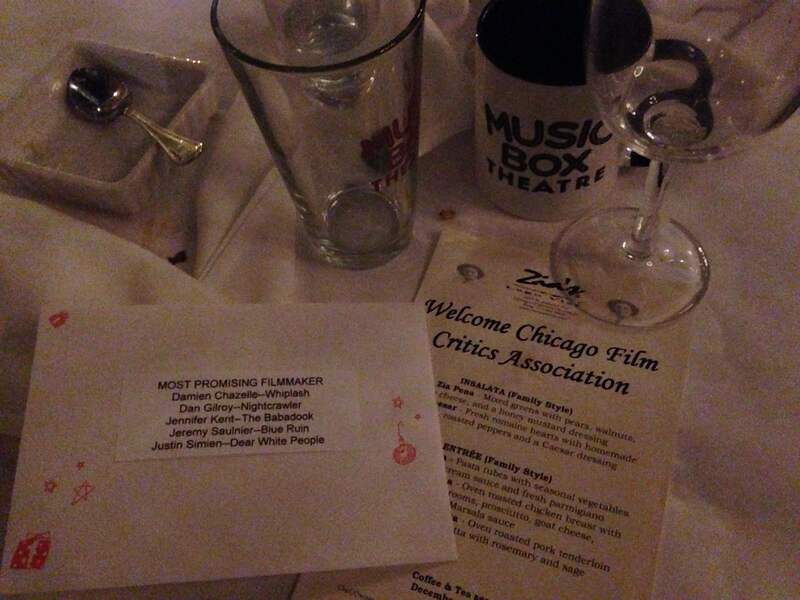 It was definitely a night of surprises and disappointments tonight at this year’s awards dinner where the Chicago Film Critics Association (CFCA) announced their picks for the best of the year in film. Yours truly and fortysomething other critics chose winners in 17 categories, a handful of them won by one or two votes – it was that tight. Alas, many of the nominees that I voted for were not chosen, especially the winners in all the acting categories. All four certainly gave worthy performances, but there was a sense of predictability to these winners though. On the flipside, it was surprising that we had a tie in cinematography and to also see Mika Levi’s atmospheric score for “Under the Skin” win. One particular upset for me though was the Swedish drama “Force Majeure” winning for Best Foreign Language over “Ida” the excellent Polish film which should’ve won. I thought both films were great, but “Ida” was the major discovery of the year for me. Of the other winners, some will definitely feel “Life Itself”, the documentary about the late Roger Ebert, winning is the most obvious of the night. So be it. Out of the nominees in that category, likely resonating the most with critics in the iconic pundit’s hometown and it helped that Steve James made a film that offered a raw and real look at the man behind the critic. Overall, it was another enjoyable evening hanging out with a plethora of talented writers whom I respect immensely. Too often, the only time we get to see each other is in a dark theater, quickly before or after a screening, but having dinner and great conversations together is a rarity that will be well-remembered. Below is the full list of this year’s winners….